>Take charge of managing your personal or crowd pool lottery combinations. Generate random numbers and save them to a pool. Move combinations from history to favorites and place combinations in the bet bucket from favorites data, and add your own custom combinations to your favorites, bet bucket, and pools. 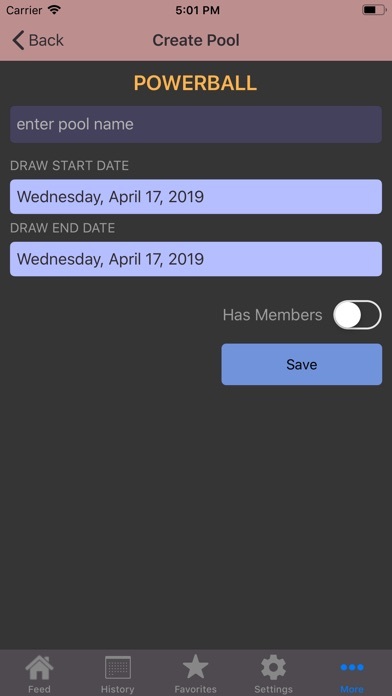 >If you play a pool of numbers for one or multiple draws, you can specify the draw start date and draw end date and later check if there was a match between those dates - to do this just create a pool and add your numbers to it. 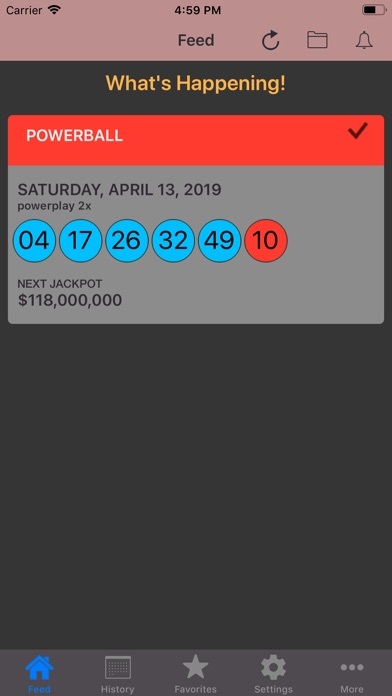 >Once you have saved your combinations, the next step is jot those numbers down on your play-slips and take them to your favorite retailer to play them and later check your numbers thru the app. This is better than having to worry about scanning some ticket every time. In addition, even if you loose your play-slips your numbers will always be handy in your app. • Create pools (personal or for your office pool and what not). • Manage member info and email members info about the pool. • Add your own combinations to a pool. 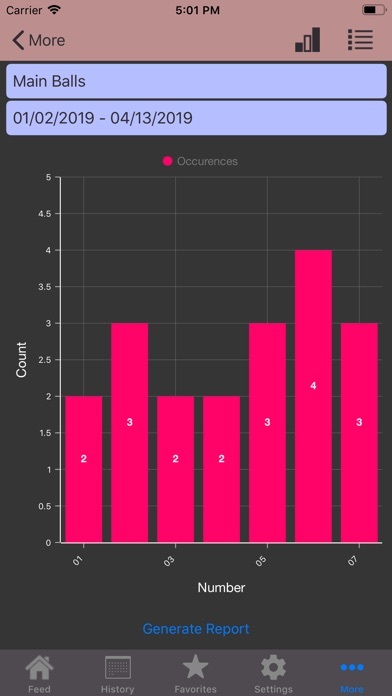 • Visualize number frequency when applicable. • View current winning result and past results. • Swipe a winning result item to automatically check your saved numbers. 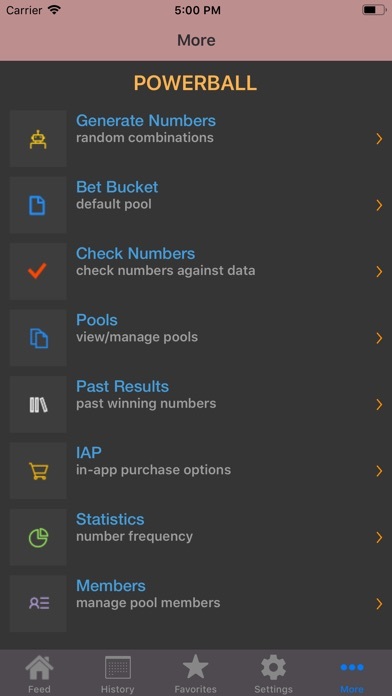 • Get notified if your saved combinations match the winning numbers. • In the Notifications page tap an item to view the matching numbers. • You can also run a notification manually. >Powerball game and Powerball statistics are included in the app. >If your state game is not in the in-app purchase options, you can always create a custom game for your 6 numbers, 5 numbers or 5 numbers plus 1 lottery games. Custom Game Manager is available as in-app purchase to create UNLIMITED custom games. If you are enjoying using this app, please give it a 5 star review and share the app with your friends to keep the free updates coming. Please feel free to send an email if you need a new feature, specific custom game configuration or have any questions or feedback. This app is not affiliated with or endorsed by the official Powerball Lottery or any other official lottery. Added Statistics for Lucky For Life.